Employers cannot be counted upon to raise pay for minimum-wage workers without the stick of wage-and-hour laws. That is why there’s a minimum. It doesn’t take long after someone proposes an increase in the minimum wage — as President Obama did in his State of the Union message — to hear the same, tired arguments against it. Rather than repeat them, and the bad economics behind them, it’s important to put the minimum wage in the context of the cost of making ends meet. 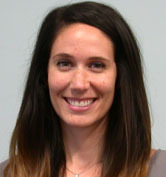 It doesn’t come close — which means two things: (1) the wage itself needs to keep pace with increases in typical household costs, and (2) to fill gaps between the wage and the cost of basic needs, and to encourage people to work, we can through public policy offer work supports, such as the Earned Income Tax Credit, as well as assistance with the costs of food, health care and child care. 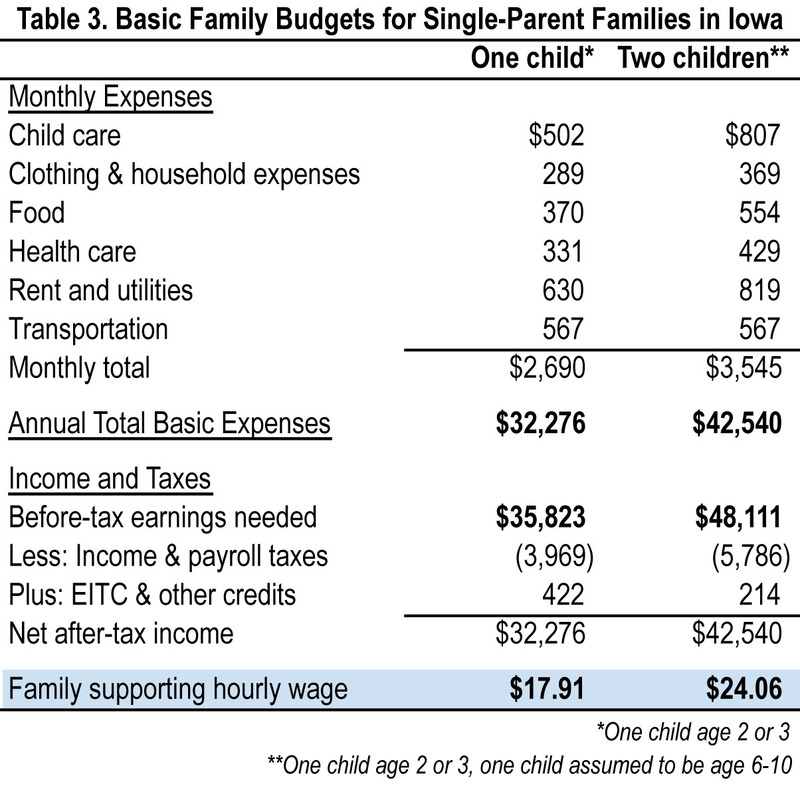 The Cost of Living in Iowa analysis by the Iowa Policy Project last year provides a look at just how far short a $7.25 hourly wage would fall for a single parent even working two full-time jobs. It would not come close to paying the bills without work-support programs. Note these estimates in the accompanying table (Table 3 from that May 2012 report) of a basic-needs, no-frills household budget for a single-parent family of two or three. The national minimum wage of $7.25 has not been increased in almost four years — and in Iowa it’s already been over five years, as the state’s $7.25 minimum took effect in January 2008. Prices are higher than they were then, and employers cannot be counted upon to raise pay for minimum-wage workers without the stick of wage-and-hour laws. That is why there’s a minimum.